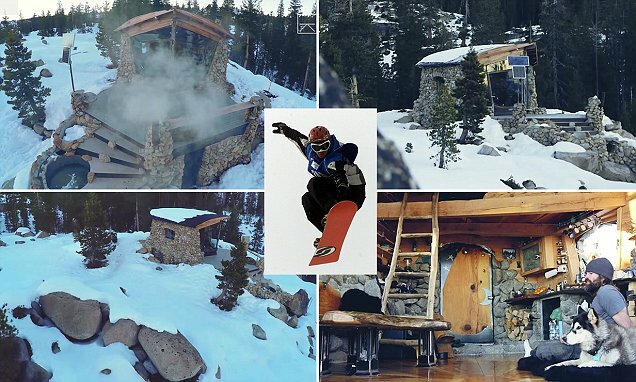 One more link to verify Truckee California location and some great photos. 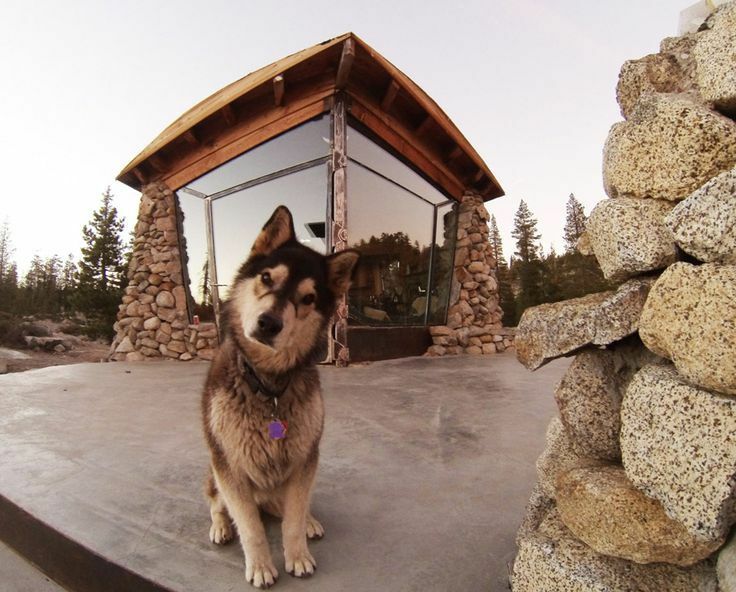 An off-grid 225 square feet stone cabin in Truckee, California near Donner Summit. 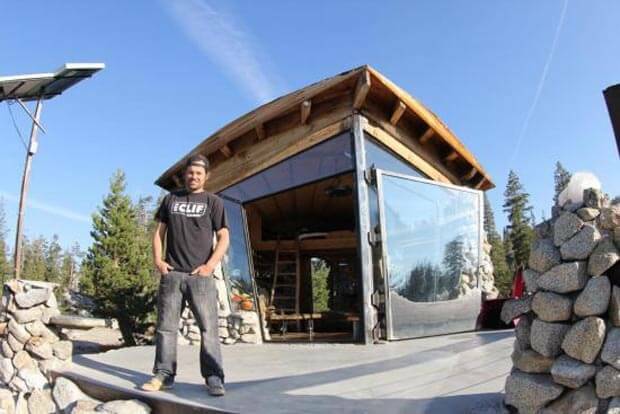 Owned and built by professional snowboarder Mike Basich.